AbacusRx computer systems are Dell™ original equipment. As a Dell™ business partner we provide the best in quality and support. 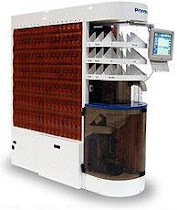 We recommend Dell™ computer systems to insure that your Abacus Pharmacy Mangement System runs at the highest optimum level of efficiency, performance and security. When you purchase a Dell System together with your AbacusRx™ software, our technicians will pre-intsall the Visual Pharmacy Plus™ Software, any additional modules purchased, Rx label printer ports, and configure your system to meet the specific requirements of your pharmacy management system. Our goal is for you to receive a computer system which you can literally take out of the box and start serving your patients and clients. 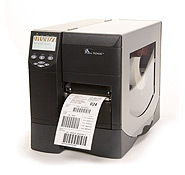 AbacusRx peripherals include the highest quality printers from Lexmark™, OKI™, Star™ Secure Physician Printers, and the latest technology of Zebra™ thermal printers. Our goal at AbacusRx is to insure that the systems, peripherals and related hardware recommended are specifically configured and tested for the needs of the todays pharmacies. Dell™ desktop solutions are designed exclusively with features to simplify the technology challenges of small and large businesses. Dell™ desktops delivers reliable performance backed by exceptional AbacusRx and Dell support – all at a great value. No unwanted trialware. Fitted only with the software you want. Outstanding Dell reliability and hassle-free technology work overtime for small or large business. Security options help protect your system and data from unauthorized system access, malicious software attacks and loss of important data that can cripple your business. System designs that look good in any office environment. Attractive, easy to keep clean exteriors with glossy front and matte black sides and tops. Improved optical drive door design which allows for quick and easy access to media drives. Serial and PS/2 keyboard and mouse ports, so that you can continue to use your existing peripherals, such as barcode scanners and POS (point-of-sale) devices. Certain of our customers either have existing computer systems or choose to purchase from a third party their computer systems and peripherals. Following are the recommended minimum system requirements to operate our Visual Pharmacy Software, Software Modules and related peripherals, Rx printers, scanners and POS system.